Thanksgiving is right around the corner and I’m SO excited to get together with friends and family for it! Obviously, everyone’s favorite part is the nonstop eating, and I will never disagree with that. However, being a vegetarian is tricky when you are surrounded by 50lb turkey’s (I actually don’t really know how much they weight), meat gravy, and a bunch of side dishes that always seem to have little pieces bacon on them. 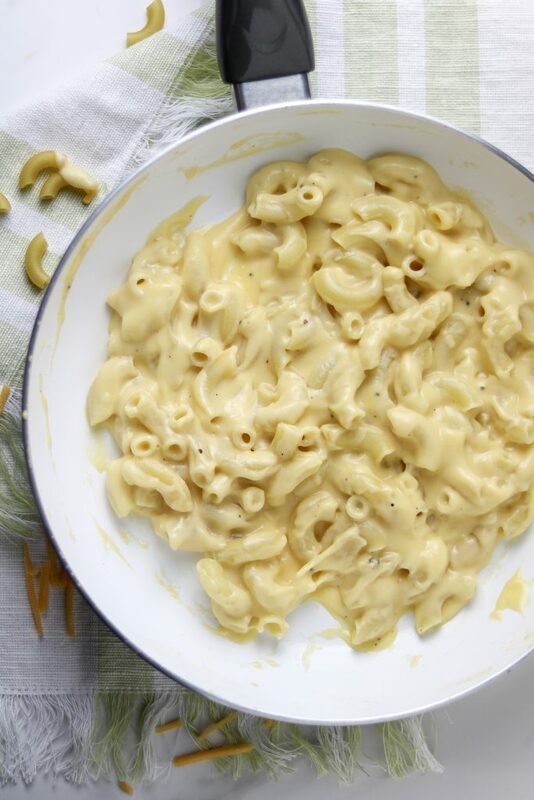 Luckily, my favorite Thanksgiving side dish is mac & cheese, and it’s also one of my favorite dishes in general. 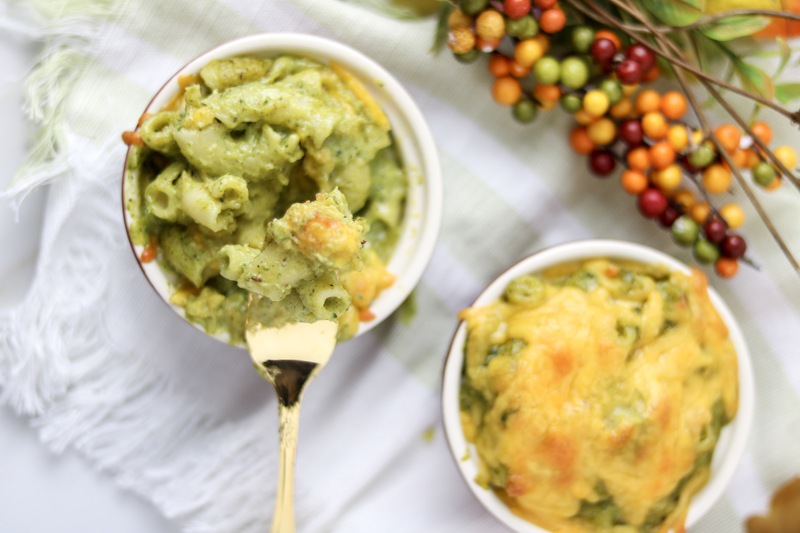 As usual, we have a little Indian twist for this year’s Thanksgiving, I’ll be making palak mac and cheese. In my opinion, palak paneer is godsent. You are eating a boatload of spinach and you don’t even realize it. 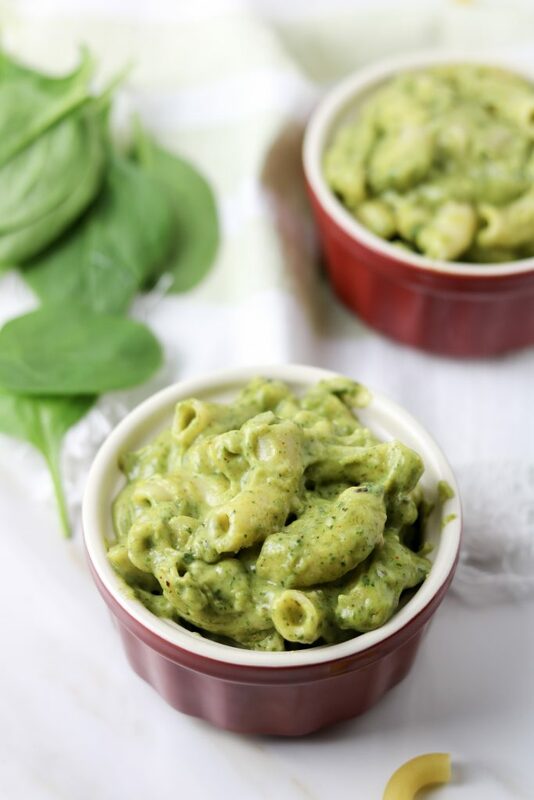 So, I thought to myself…the palak gravy would go really well with mac and cheese because spinach and cheese are an overall match made in heaven. When my mom makes palak paneer at home, she goes through a process of blanching the spinach, which I personally think is too high maintenance. Why should I add an extra step when I can just chop, sauté, blend and serve?? I’ve simplified it a lot, so you can even use the exact ingredients and throw in paneer if you want to make a quick and easy version of palak paneer. Just be sure to increase the quantity of each ingredient you use! As you can probably already see, it’s super easy and it’s something that your Indian family members will really enjoy because everyone likes a good palak gravy. I’m sure it would also be a huge hit with people who haven’t even tried it before because it kind of looks like an Indian version of pesto. I hope you all enjoy your Thanksgiving, especially with this must-eat palak mac & cheese side dish. Boil your pasta to al-dente and put aside. Heat up oil in a large pot. Add in the cumin seeds, caraway seeds and hing (asafetida). Mix and let it sizzle for about 30 seconds. Then add in your diced onion and jalapeno. Let it cook until the onions are translucent, about 2 minutes. Season with salt per taste. Next, add in your diced tomato, garlic and ginger. Mix and let them cook for about 1 minute. Now, you can add in your spinach and mix well. Splash a little bit of water in your pot and cover it. Add some more salt and let your spinach cook until it’s wilted down. Once spinach is cooked, put everything into a blender and blend until it is all broken down and turned into a gravy. Pour the palak gravy back into the pot on low heat and add in your cayenne pepper, garam masala and turmeric powder. Keep pot on low heat while making the cheese sauce. Stir occasionally. Warm up butter on medium heat. Add in your all-purpose flour as soon as butter is melted. Mix until all of the flour is cooked and your butter is dissolved into a thick paste. Pour in your milk and stir. When the milk thickens up after a few minutes, add in your cheese. Season with salt and black pepper. Add the pasta and palak gravy into the cheese sauce and mix well. 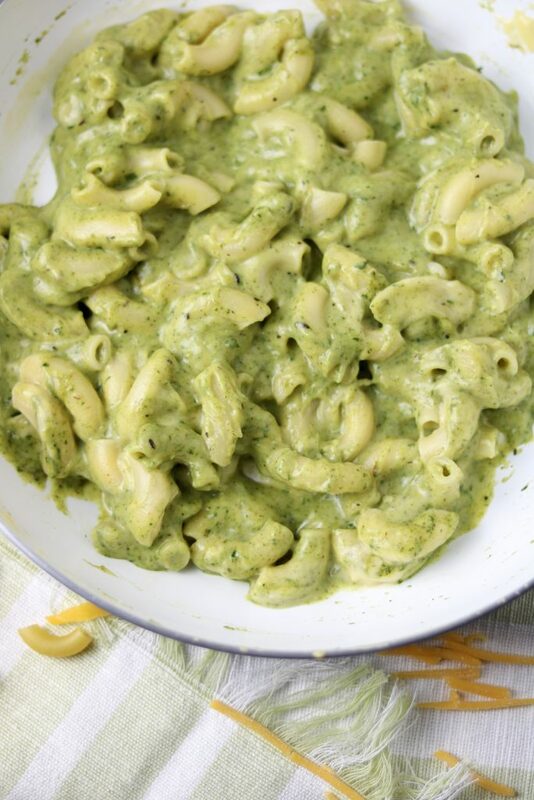 Lightly grease your baking tray and pour in all of the palak mac and cheese. Sprinkle additional cheese on top if desired. 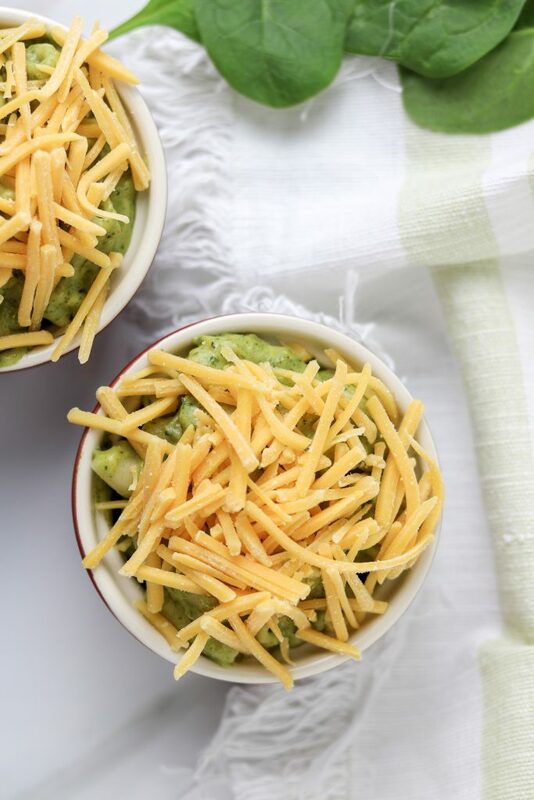 Bake for 10-12 minutes and broil for 3-5 minutes until it’s golden brown on the top. 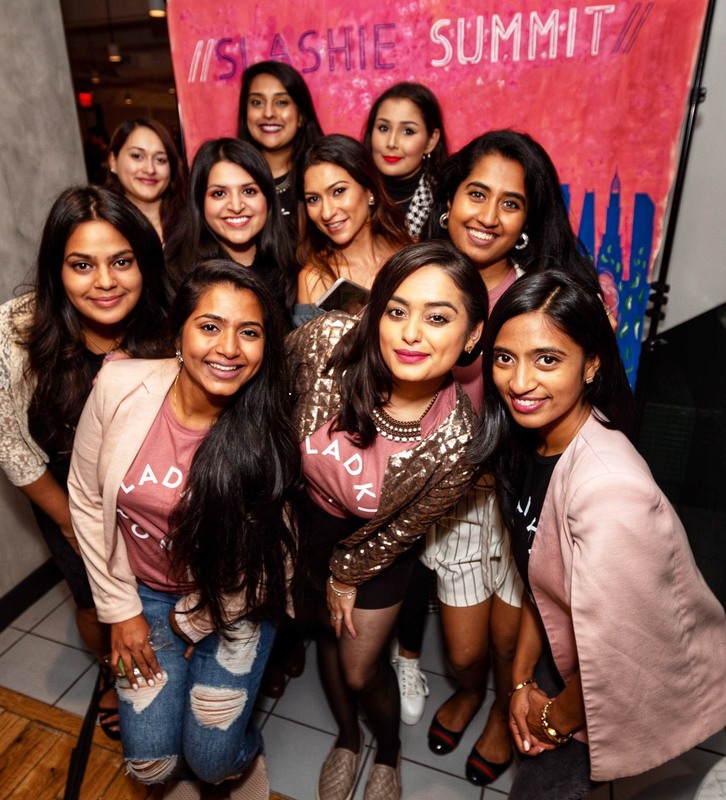 Megha Patel is a vegetarian foodie, an extreme travel bug, a self-confessed shopaholic, and somewhere along those lines, a simple 27-year-old girl. Her love for food has always been apparent and it was only heightened by her love of taking pictures of food. 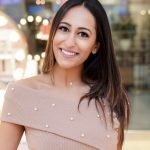 The recipes that she creates are inspired by her culture, famous chefs/bloggers that she's been following for years and absolutely admire, and the countries that she has visited in the past/want to learn more about. When she's not cooking, traveling or doing 27-year old shenanigans, you can be sure to find her at your local doughnut shop.